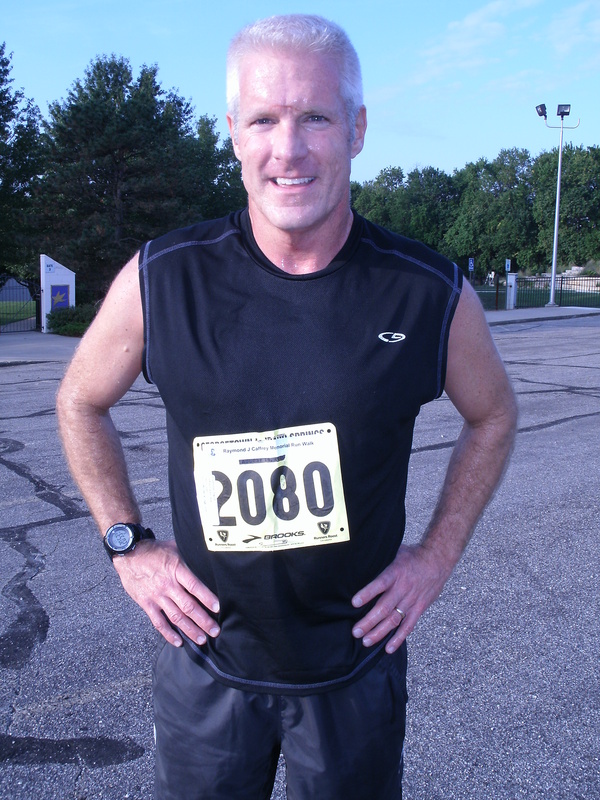 David Cudmore, age 50, from Lee’s Summit placed first overall in Shawnee Mission Park on Saturday at the Raymond Caffrey Memorial 5K. The weather was perfect for this first year race. Watch for this race again next year as the organizers are “pumped” about what they will add in 2011.